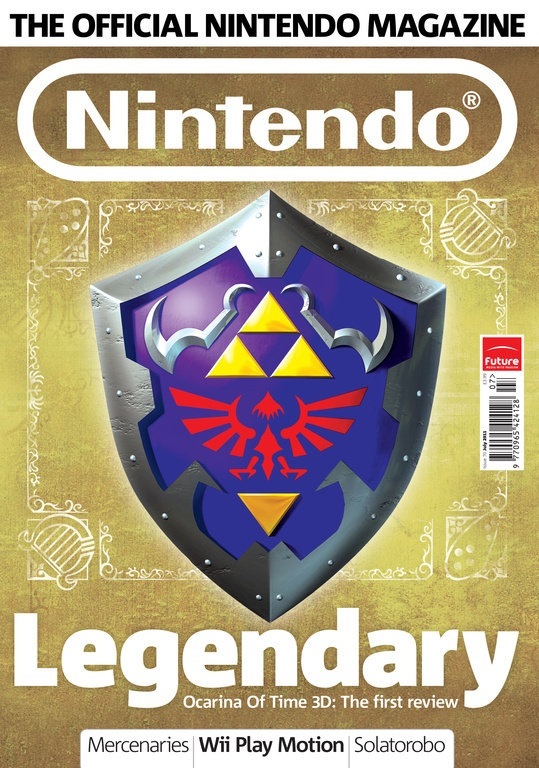 Several years ago, I used to collect Official Nintendo Magazine, I still have them actually. It was back when I was a big gamer and played on mostly Nintendo consoles. Eventually though, maybe two years ago, I just stopped collecting them, I don’t think I actually had a proper good read of one for a year before that. Anyway, the magazine continuously changed every few issues to keep it fresh and one of the magazine sections that stuck around for a while was a readers section. This was where anyone who wrote letters in, or (more commonly) from the online forums would get a say. When it came to the online forums, ONM used to show a pie chart of percentages of what people talked about most that month, and one of the most commonly featured topics in the pie chart was a lot of people showing their support for a spinoff game of the Sonic the Hedgehog series; Shadow The Hedgehog. I never actually looked into those topics on the forums, my forum footprint overall was pretty low; however it always interested me to see people defend Shadow the Hedgehog. 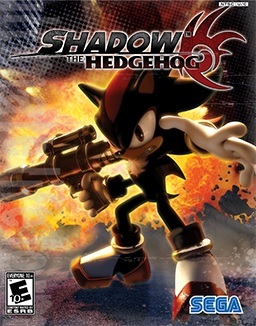 I remember first reading about the game and being a fan of the Sonic series at the time (and also my liking for the character of Shadow), I was excited about it. I remember even getting a copy of it for my GameCube when it was first released, and remembered hearing friends and other people talk about their opinions for the game, where the result was normally positive. One thing I did not understand though, was why (roughly) 25% of the readership of the magazine wrote on the forums every month just to defend a specific game. The other percentages used to talk about new stuff or current games and opinions; so why is another talking about one game in particular? I mean, what was so bad about Shadow the Hedgehog in the first place. When I originally played it, I thought it was quite fun. I played it quite a lot and really got into it. Ok, it wasn’t like it had no flaws at all but I thought it was OK. With the game being nearly 10 years old now, I thought I would reminisce a little by looking back at it and giving a more hindsight view on what I thought of the final product. While the post may say “The Final Word”, this probably, more than likely, won’t be the last time someone talks about this game, but due to the interest in people defending the game, I thought I would give and highlight my thoughts on the game, then hopefully come up with some overall rating for it (I probably won’t do this again in the future as it probably won’t work). 1. 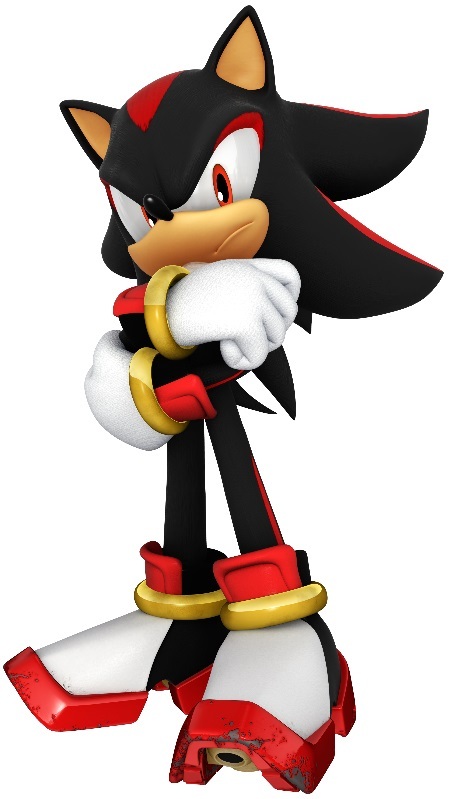 Setting – Shadow is a hedgehog (like sonic, but black in colour) who has something of a mysterious past that comes back to him in flashbacks he doesn’t relatively understand. For the most part he is a loner and only cares for himself and some mysterious girl called Maria. One day, an Alien Invasion by a race known as the Black Arms suddenly happens. 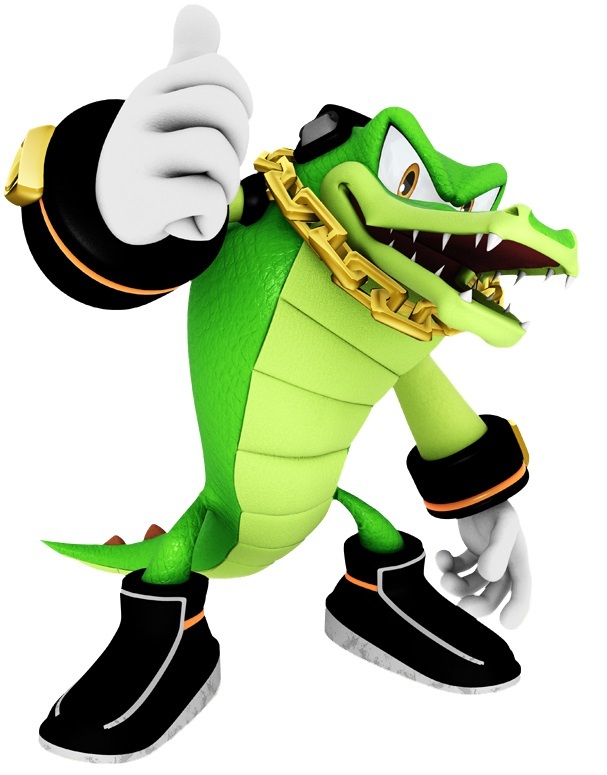 At first he doesn’t care, but is then approached by the races master; Black Doom who says that if Shadow can bring him the Chaos Emeralds, he will reveal Shadows past. The alien invasion setting then sets the game up for the player to take shadow on a story plot that allows the player to take different routes and discover and play different levels while also discovering Shadows Past. The games’ setting is pretty interesting and as its core point of storytelling goes, it’s pretty cool; however it’s all over the place. One moment you are fighting off an alien invasion, the next, you are nowhere near the invasion, to doing something that happened 50 years previously, or fighting a completely different enemy altogether. Because you are not too sure of where you are supposed to be, it feels more like a game without story than a game that sort of promises to tell you a story while discovering it yourself at the same time. While it is interesting to discover new things and experiences other bits, for a story telling adventure, it’s a bit poor. 2/5. 2. Gameplay Part 1: Storytelling – The game offers you choices of routes to take from level to level, meaning the game is not linear. In fact the game uses a story tree which allows players to pick a route to take and follow it to where it goes. To do this, they have 3 choices of mission per level (as far as I know, I didn’t get as far as the end of each story side). One route choice will take the player on the hero path, another on the dark path, and the other on the horizontal normal route. If the player goes down the normal route that just comes to the point of reaching the end of the level for the other 2 though it usually requires completing an in game goal or completing the level in a certain way. So it could be activating or finding things in level, or it could be defeating so many enemies to destroying something. Relatively simple……….in theory. It’s one of the larger issues I have with the game. The problem is, that while it sounds relatively simple; some of those side missions can turn out to be rather complex. Some are easier than others but when it comes down to either finding so many of one thing, or collecting the other, finding them in the first place can be very irritating, especially when there is only one left, and while you may get to the point of certainty knowing where it is, finding it at all again is tricky. Keeping it to those routes to get to new levels can become even more irritating if you accidently end up doing a level you may have already done once before, and when you play levels over and over again, it gets really boring. Then even if you are successful in completing the mission correctly to go onto the next stage, you may end up taking on one of the games various random bosses, which is tedious unto itself. It is a rather inventive and exciting way to play a sonic game as it is not linear and the choice of routes can be quite fun (as well as add replay value to find more levels), but in turn, is annoying. 3/5. 3. Gameplay Part 2: Core Gameplay Mechanics – The games striking main feature is that the lead character gets to wield a gun. Possibly thinking; that without something extra or different, it would look just like a normal Sonic game; the developers gave an already anti-hero character his own choice of weaponry. The game bolsters a huge selection of firearms with some different per level, and while Shadow doesn’t necessarily have to use them, it does add something else to the game. Most times guns are just picked up from fallen enemies, and depending on the enemies and area will vary the choice of available firearms. I find it’s a lot like Half Life in that respect with the amount of different types, but when there is in some cases little variation it can be a bit repetitive, but not necessarily boring. The inclusion of a gun though doesn’t really seem to provide much though, as there are lots of shooting games on the market and the only thing that’s different with this one is that it’s in a Sonic game. 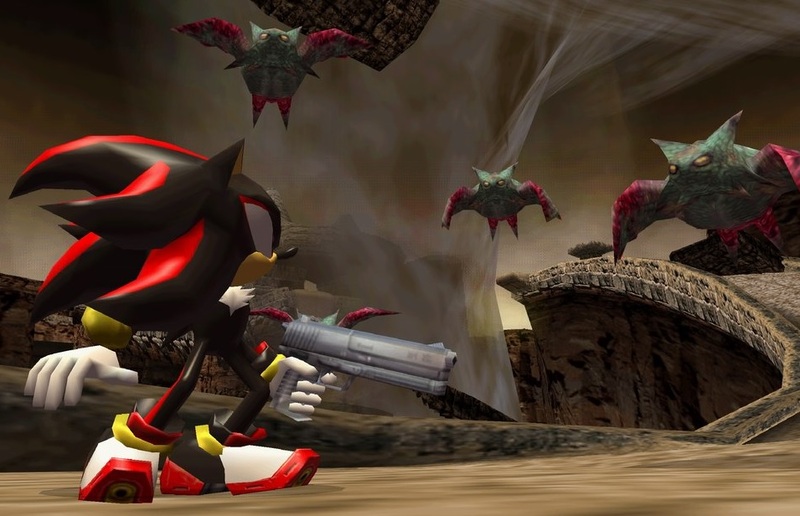 Shadow does not necessarily need a gun however, he is powerful enough without. I think it’s more of an image thing than anything else, but I would rather him have a gun he can keep than having lots that do not last very long. After that though there isn’t much except for regular abilities that sonic can use in previous games. The only other one that stands out is in the 2 power bars that can be built up during levels. These are filled up when attacking certain enemies or doing other things of note. One is a hero bar, the other is dark and when one has been filled up it can be used. These are actually quite useful as one allows you to travel huge levels of distance in the game making the levels shorter, while the other works similarly to the Team Blast feature in Sonic Heroes where you can wipe out huge numbers of enemies that are currently on-screen. It’s a very nice feature which is also something a little bit different to other games. 4/5. 4. Visuals – Visuals come down to 2 points, cinematics and in game. The cinematics look terrific and add an extra special something to the story telling side of the game. The cut scenes and in game visuals however, which use the same graphics look rather basic and can put a sour note on the games look. For the most part the visuals don’t look that bad, but when considering that the visuals for some cut scenes don’t use the cinematic look, it just looks basic as if it was done half-heartedly. The cut scenes are nicely done in what they are trying to say and set up the levels well, but compared to what is achieved in the more cinematic cut scenes, they could be better. The opening cinematic though is fantastic and really helps to set up the feel of the whole game. 3/5. 5. Bosses and other Characters – The boss levels are not exactly varied. My experience mostly ended up with me takin on mostly Dr. Eggman in boss matches that were quite hard. The only other boss levels I had were against the black bull alien thing and the heavy dog, both of which were still pretty hard. The end boss for all my attempts was the Egg Dealer which was a lot more simple (and enjoyable) but weird. It was the case that once you knew how to defeat it, all you needed to do was just keep hitting it with your homing attack. The other thing about it was its choice of when to enter the game. One of the last levels on a route of the tree was the black comet where you would expect to find some kind of alien monster to fight. No; for some reason it was Eggman. 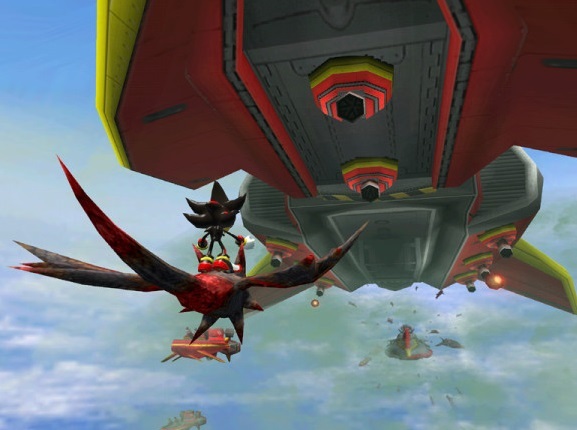 It made more sense when I was in Eggman’s base, but not on the comet. Apart from the Egg dealer, Boss levels were pretty weak, if it was not for the choice of music to go with them, which ups the score for it a little. 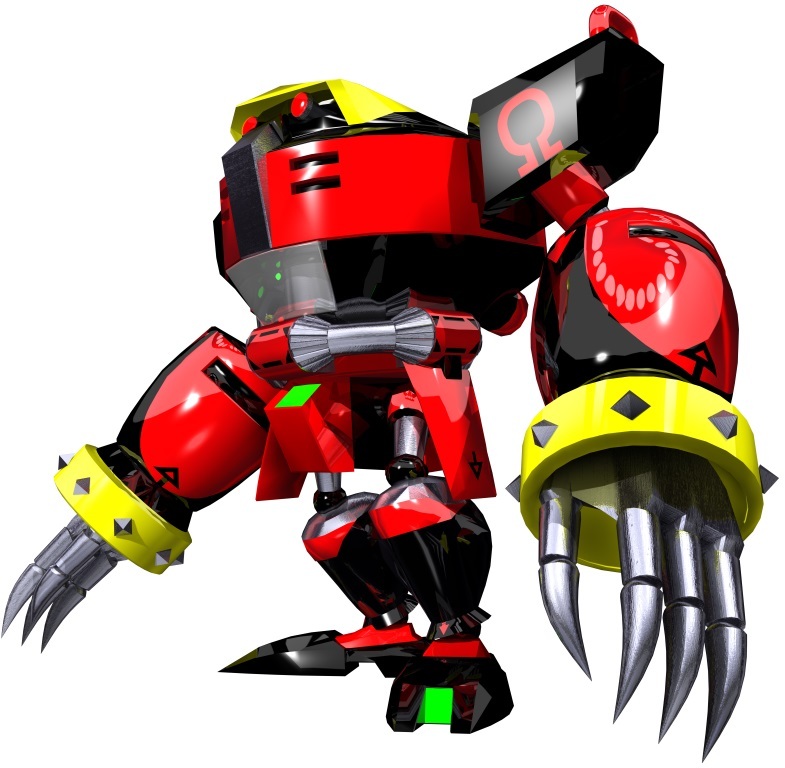 As for the use of other characters in the game that you randomly meet on the way in some levels, I think it’s rather pointless with the only good new character being the commander of G.U.N. (and some allowance to Black Doom, but only a bit). 2/5. 6. Levels and Multiplayer – The levels in the game were nice and varied if but a bit dodgy. It’s sort of all over the place with areas depending on the routes you take. However the choice of levels and the things you can do in them are a relative improvement compared to the storytelling side. 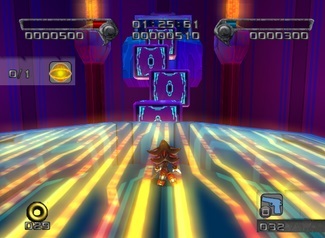 The levels are designed in strange combinations with some being like classic Sonic levels (platforms and lots of running), while others are like mazes and slow routes with lots of fighting. And then you have the completely weird ones like the circus based world, and a couple inside computers. The colouring of the levels is sometimes bright and sometimes dark but with plenty of variation. While the things you can do in the levels are really up to the story direction, the levels are much better in contrast. Multiplayer I did not get to play much of except on one occasion, however it was weird and fun to experience. 4/5. 7. Soundtrack – For all the game’s up and downs, there is one thing that does not disappoint: the game’s soundtrack. While the levels, characters, missions and bosses are constantly in a state of mismatch, the one thing that does work is the choice of music to the game level. While some levels are similar to one another, great care has been taken to make the soundtrack work and meet the feel and look of each level. Added to this is the soundtrack for the boss levels, cut scenes, characters, cinematics and even the credits; which altogether makes something that works at a consistent rate, and not only that is both enjoyable, and memorable at the same time. I will probably go more into certain pieces of soundtrack in a later post, but particular ones to look out for include the opening cinematic theme (I Am… All of Me), Digital Circuit, Sky Troops and the end credits theme (Waking Up). 5/5. So, that’s the game in essence, so now to work out its score. So ‘add the numbers together and then divide by the number of categories.’ 2 + 3 + 4 + 3 + 2 + 4 + 5 = 23 ÷ 7 = 3.285714285714286. So to round it to a reasonable number, I would say it gives Shadow the Hedgehog as score of 3 making it something of an average game of highs and lows. It has great gameplay mechanics, interesting levels and a fantastic soundtrack but is somewhat hindered by everything else. It’s not completely Pants, but it’s not really Great either. 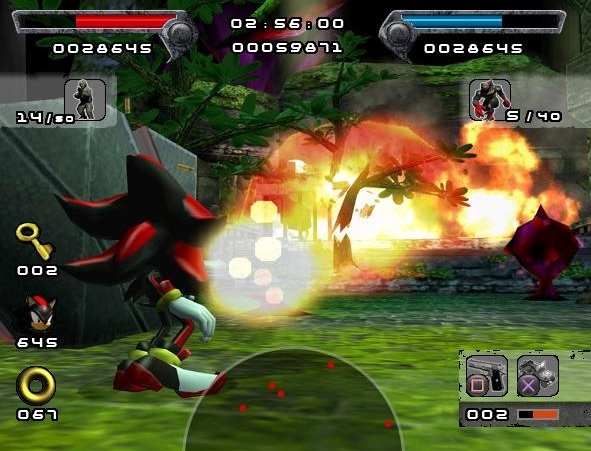 You might be able to see something else in it than I didn’t, but altogether; that’s what I think f Shadow the Hedgehog. It will more than likely still be debated for some years to come, but for now, it’s somewhere in the middle (plus I have other things to do).